Last week was another interesting week for markets in the US, to say the least. With shortened trading due to the Independence Day, volatility and trading activity were both expected to be lighter than normal. For the most part, the holiday trading activity expectation was indeed true, until Thursday rolled around. Stocks took a violent beating on Thursday with the S&P 500 leading declines for the day, followed by the Dow Jones Industrial Average and Nasdaq 100. A whopping 27 out of 30 total companies in the DJIA closed in the red on Thursday leaving the index with a triple digit loss of 158.13 points, or 0.70%. The Dow’s decline, however, was overshadowed by the S&P 500’s stark loss of nearly 1% to close at $2,409.75. The declines came on the heels of a mix of geopolitical worries, continued tech selling, and weaker than expected economic data. On the geopolitical front, news agencies reported renewed missile test launches from North Korea that seemed to cause a “risk off” trade among investors. For economic data, ADP payroll data also contributed to the declines on Thursday, as the actual number of 158,000 new jobs was well short of the expected 180,000. In addition to the North Korean news, this seemed to be enough to cause investors to taper their long positions. However, despite Thursday’s harsh declines, all three indices posted a strong rally on Friday as the US Department of Labor reported 222,000 new jobs for the month of June, completely beating most of the expectations on Wall Street. The stellar jobs report was not helpful to the gold market, however, as the data solidified the path for the Fed’s current interest rate hike agenda. 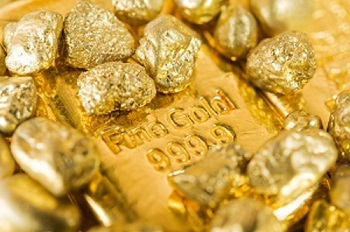 The yellow metal was off more than 1% upon release of the monthly jobs data, yet it still managed to hold its ground well above $1,200 per troy ounce. Although employment data was surprising last week, the real phenomenon that had traders scratching their heads was the historic lack of correlation between the three benchmark indices. For the first time since 2003, the correlation between the DJIA and the S&P 500 slumped to a low of 0.4655. A correlation of 1.00 is perfectly correlated and means two assets move entirely in sync, and a correlation level of 0.00 is entirely not correlated and implies two assets move independently. The fifteen-year average correlation for the two indices is 0.9557, which is almost perfectly in synch. Basically, for the past 20 trading days, the Dow and the S&P have been trading almost entirely in their own worlds, only moving in the same direction less than half of the time. So what’s driving this rare lack of correlation in the markets? “The disconnect is probably due to the tech stocks, because some of the biggest companies are tech stocks but not many of them are in the Dow Jones,” said Randy Frederick, managing director of trading and derivatives at Charles Schwab. This explanation makes sense, but it is not particularly southing news for investors. With inexplicable sector-wide sell-offs and low correlations in the most well-known and liquid market in the world, many investors don’t know what to expect next. Because of this, safe haven assets, like volatility and gold, are looking more attractive day by day. Open interest data confirms the unknown buyer of $3.8 million worth of VIX call options, as mentioned in previous articles, has yet to cash out on the trade despite several large spikes in volatility. Could more unexpected and unusual market moves be lurking around the corner? Only time will tell. As if the 14-year slump in broad market index correlation didn’t provide enough mystery for the week, silver futures suffered an extremely bizarre “flash crash” during late trading on Thursday. Silver futures for September delivery cratered more than 10% from $16.13 per troy ounce to $14.34 in only a few short minutes. With no explanation for the plunge other than an “accidental trade,” the monumental decline was instantaneously reversed and silver was back near $15.80 per ounce. All of this took place in less than five minutes. The flash crash in silver is the perfect example why owning physical precious metals is demonstrably safer than owning precious metals electronically. If an investor had a -10% stop-loss for a long silver position, Thursday’s flash crash would have instantly caused an irrecoverable 10% loss. Between flash crashes, nuclear missile tests abroad, and a historic level of low correlation in the largest equity market in the world, it’s safe to say the past few weeks have been home to some of the most unusual trading activity in the past decade. For over 40 years, Blanchard has helped over 450,000 clients invest wisely in precious metals and rare coins throughout some of the most bizarre market conditions imaginable. As always, our team of experts are here to help you navigate the markets and capitalize on opportunities amidst the chaos. Call us today at 800-880-4653.